The competitors for the annual NBC National Heads-Up Championship have yet to be announced, but one player is a lock. Justin Young has emerged triumphant from the qualifier at the 2011 Caesars Winter Poker Classic. Usually satellites for major events are inhabited by mid-level grinders, but the chance to play in this high profile, invite-only contest attracted some of the very best players the game has to offer. The Heads-Up Championship is one of the most watched poker events of the year, taking pride of place in NBC’s schedules, featuring the top players from all over the world. A total of 217 players registered for the qualifier, which adopted a unique format appropriate to the event it fed. The satellite played like a normal MTT down to the final 16 players, at which point play switched to a heads up contest. Among the elite final 16 were the likes of Kathy Liebert, Jonathan Friedberg and Sam Grizzle. Facing Young in the final was his good friend and neighbour Eric “Basebaldy” Baldwin. This match-up had a special edge, beyond the friendly rivalry, as the 2009 CardPlayer Player of the Year recently bested his buddy Young in the final two of the NAPT LA Bounty Shootout. Getting one over on his friend and rival was sweet revenge for Justin Young. The 2010 NBC National Heads-Up Championship was won by veteran and former UB representative, Annie Duke. She bettered 8-time bracelet winner Erik Seidel in the final, having worked her way past former November Niner Dennis Phillips in the semis. This year looks set to be as strongly contested as ever, as former champions, celebrities and up and comers compete to be crowned the best heads-up player in the world. Justin Young will need to bring his A-game if he has any hope of continuing his good form into the main event. Although the list of competitors has not been announced, enterprising forumites over at 2+2 have figured out who should be attending, based on the usual qualification criteria. The list includes Chris Ferguson, Scotty Nugyen, Vanessa Rousso, and WSOP Champ Jonathan Duhamel. If you are a regular at the European poker tables, you should consider playing the Norwegian Poker Championships. To take part you will need to travel to Latvia and pay €800 for your Main Event seat. You have the option to satellite into the Main Event. On Sundays you can enter €66 satellites at 1 pm ET that have one prize package for every €1,000. These satellites are guaranteed to award a minimum of three seats. You can also play the €33+R satellites that also take place on certain Sundays. These tourneys have a whopping ten seats guaranteed. If your bankroll is small and you find these stakes very high, there are plenty of satellites into these events. On Tuesdays, Thursdays, and Saturdays you can play €6 .60+R tournaments that award seats to the €66 tournament, and there are four seats guaranteed. 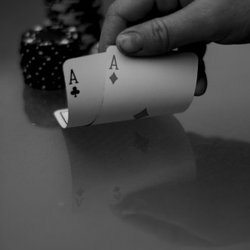 Mondays, Wednesdays, and Fridays host €11 satellites to the same Sunday tourney, and you will also play for one of a minimum of four seats. If you cannot get any funds online at all, you will still have a chance to participate. On Sundays there are freerolls to the €66 event, and each freeroll has two seats. The lucky winner will receive a 10k USD sponsorship deal and free entry into the Main Event of the Norwegian Championships next year! Take note of the fact that the satellite packages are aimed at people living relatively close to Latvia as the packages only award €200 for expenses. If you are already planning on a trip to Europe, however, you have a great chance to gain poker fame and become sponsored by the biggest poker site in the world!